the Revised Waste Framework Directive in November 2008. A reference, in the revised Waste Directive, to a 5-step waste hierarchy (called “priority order”) favouring recycling over other methods of waste treatment. A specific mention to the need to follow the priority order for the management of waste oils and to their separate collection, ensuring that the spirit of the revised Directive is favourable to the industry across Europe and that waste oils regeneration remains a suitable option. A perception that GEIR is a credible and knowledgeable European stakeholder, maximising its legitimacy to reach out to EU stakeholders on other policy issues if necessary (REACH, etc.). At the adoption of the Final Waste Framework Directive, Fabio Dalla Giovanna, GEIR President, said: “Reaffirming the importance of oil recycling in EU law was vital to our industry’s future and we made it thanks to a professionally led public affairs campaign- this result was unthinkable three years ago. Today the priority order for waste oil recycling has been re-established, without any constraint such as was imposed in the Directive 75/439/EEC, strengthening the concept of recycling above combustion”. 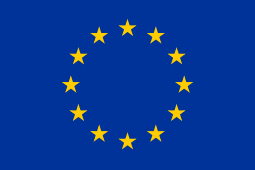 All 27 Member States of the European Union will have to transpose the revised Waste Directive by 12 December 2010.